The China Formula One Grand Prix promises to be a fun filled adventure of a lifetime; experience the captivating reality with a superb hospitality package. Watch your favourite racing teams and celebrity drivers compete on a circuit that is renowned as an engineering masterpiece. Shanghai GP hospitality can catapult you straight into the heart of this extraordinary outpost of the Formula One world. Chinese Formula One hospitality delivers on every account. Enjoying the finest cuisine, wines and champagnes; stay in beautiful hotels such as the Park Hyatt and sample terrific night life. 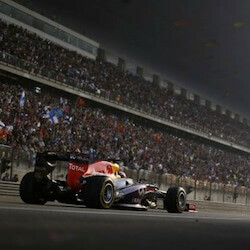 Our Shanghai Formula One hospitality packages are not to be missed. The Corporate Suites are perfect for business clients, who want their own private suite to ente…. 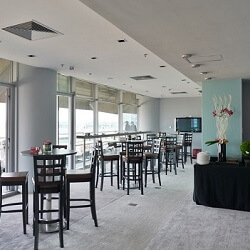 The Grandstand Club offers tastefully decorated and furnished suites, located across from the p….